Peaky Blinders is all the rage on TV at the moment. 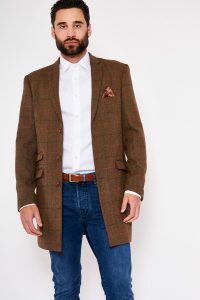 We’ve had more and more customers ask us for vintage coats, hats and waistcoats to complete their Peaky Blinders outfit! This month, we’re offering a 10% discount on all Peaky Blinders outfit gear. Just type in PEAKY18 at online checkout to make a saving! High quality Donegal tweed sets this Bakerboy hat apart from the rest. We could have brought in a cheap, Chinese-made hat and sell it for £15, but that’s not the Apache way. Our customers demand quality and durability, and we never let our standards slip! Failsworth, founded in 1903, are heritage masters with over a century of making top-notch headwear. Made in Ireland, their Bakerboy (or Newsboy, if you’re American) hats are available in Brown (pictured) and Forest in Medium and Large sizes. Keep your eyes peeled for more styles arriving soon. The other legendary tweed fabric is from the Isle of Harris, in Scotland. 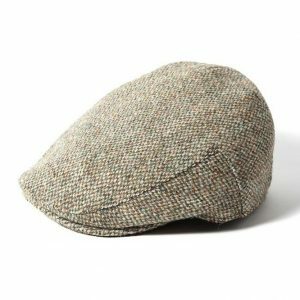 This Flat Cap by Failsworth is an absolute classic and probably the most integral part of a Peaky Blinders outfit. 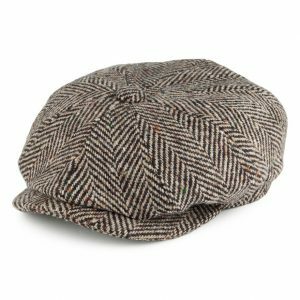 Harris tweed is protected as a unique heritage style under the Harris Tweed Act of 1993 — it’s truly the champagne of headwear! Treat yourself or a loved one to this famous hat in Charcoal, Beige (pictured) or Green. Hot on the heels of the incredibly popular “Edward” overcoat in Navy comes this magnificent check coat by Marc Darcy. There’s so much attention to detail here that £130 seems an absolute bargain. The camouflage-effect lining (with matching pocket square) is a real jaw-dropper; so is the chunky brown buttons. The coat features 7 pockets, including not one but two coin pockets! As a final touch, the designers have thrown in a removable Marc Darcy branded lapel pin badge. Cillian Murphy et al wouldn’t be seen dead without a dapper waistcoat on. If you’re going for the full-on Peaky Blinders outfit then try this Paisley-lined waistcoat by Marc Darcy. We have a decent range of stylish waistcoats in various styles and colours, which you can view here. Here’s a shoe we’ve been selling in store for 15 years, with dozens of repeat customers. 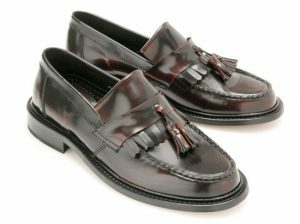 This wonderful shoe features “high shine” leather, a stitched leather sole unit and a classic tassle. A real 1960s, Mod-inspired classic that works perfectly well in a Peaky Blinders outfit. Available in Bordo (pictured) and Black.